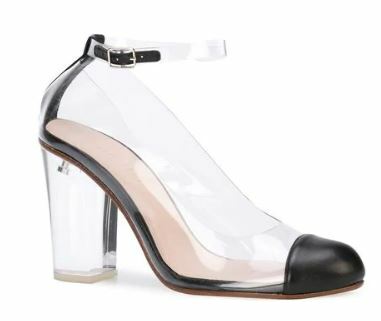 Nappa leather and pvc pump with acrylic heel. Note: although Whitney looks like a princess, those are not glass slippers. Learn more about glass slippers if you are interested in princess footwear for women. Learn more about Ritch Erani shoes. See more about Whitney Port.